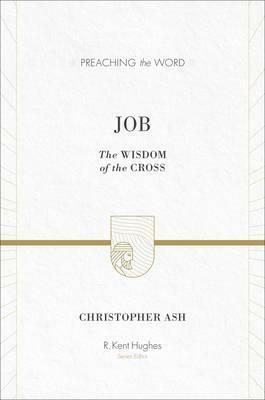 As we come to our last look at Ash’s commentary on Job we have to acknowledge that there is a strange wisdom governing the universe that involves tragedy and pain. We may not like it, but if we examine the world with honesty, it is there. In today’s blog post we will focus on God’s response to Job and the answer to the question, “Where is wisdom found?”. Job doesn’t have access to the blueprint but he knows it exists, as we all do, from looking at the tiniest plant, to the way our blue Earth shines from space, the only known habitable planet in the universe. There is a good order holding our good creation together. And yet, it’s broken too. Before God responds, Elihu, a young man waiting his turn to speak, steps forward. Ash, controversially makes a good case for regarding Elihu not as an arrogant and inflated version of the friends but as a prophet of God, a John the Baptist figure, who with rough handling, prepares Job for his meeting with God. Whilst this is a departure from traditional scholarship, I think Ash’s argument can fit with the Bible text as Elihu doesn’t make the same arguments as the friends and does point out the ways that Job has spoken incorrectly about God and calls him to repent of that. Job also makes no reply to Elihu and God does not ask Job to pray for him as he will his friends. When God responds “out of the whirlwind” he says, “Who is this that darkens counsel by words without knowledge?” And tells Job to “Dress for action like a man...” It feels like an episode of Homeland and not at all like the scene of explanation and vindication Job has longed for. What’s next for this poor person? How much more can he possibly take? Job is humbled and silent. When God challenges Job to demonstrate his power by defeating the Behemoth and the Leviathan (two beasts, representing dark spiritual forces and the Satan) Job admits that he spoke without understanding “things too wonderful for me” and repents now that he has truly seen the Lord. In the epilogue God vindicates Job and says of the friends, “You have not spoken of me what is right,” and has Job pray for them. With wonderful Christlike overtones Job is the means by which his friends can repair their relationship with God. Job has maintained his trust in God, and by that I mean, he has kept his face turned toward God. He may have said things at times that were not quite right but his posture towards God has been correct and he has kept a conversation going, even when it has been an agonizing scream. Job gets his longed for vindication and the Lord dishes out a double portion of blessing on top. It all feels like a Hollywood ending right? Truth be told, I feel crushed at the end of reading Job. I feel depressed that God has evil on a leash even though I am thankful for the leash. I feel right back at the start. I have reached and I have not learnt more. Or have I? Perhaps that’s the point. There were moments there where I got a glimmer of an answer - it was too wonderful for me. Ash writes, “The wild things that happen in life are God’s wild things, and all their wildness is under his control.” (p.368) I think back to my second post on Job - can I trust him to be the King even when it looks like he isn’t? So impressed with my brother’s amazing spirit. He is still fighting on! It was four days before the end. “Those were amazing days,” my brother’s friend writes in the comments. She sat in that room quietly, respectfully, supportively. I ate the same quiche every day in the hospital cafeteria with her and somehow the circumstances seemed transformed, we were not keeping vigil on death row. We were just two young women eating lunch together. What a mighty effort. His spirit still impresses me. And his life continues to bring glory and honour and praise to our God. But I close my eyes and shake with tears because it takes me back there and no nineteen year old should have to refuse palliative care and request instead more chemo to try and blast this thing that is killing him one final time. I remember some of the words I said as I left the hospital room that day, he couldn’t respond because speech was so difficult for him in those last days. “I’m not walking out of here crying tonight mate, I’m continuing to pray for a miracle for you, you’re amazing. Keep fighting, we’re all fighting with you.” I don’t remember everything I said but I know how I felt. Awed. Uplifted. Just for one night. My brother knew there was life beyond the grave because while he was on earth he found life in Jesus. But this life on earth is precious too and the people God has placed us with are dear to us and we don’t want to cut it short, though there is pain and sorrow here. Our God is Still The God Who Can Do Anything! Job says at the end, “I know you can do all things, and that no purpose of yours can be thwarted.” (42:2) Our God is still the God who can do anything! While there is life, there is hope. Never stop praying for a miracle, for healing, for conversion. I am counting on my God to raise me from the dead, to raise my brother, a believer, from the dead. He’s already performed a mighty work in my life and in the lives of millions and millions. Set your heart on the risen Christ. He will not fail you. Katie loves writing and has had snippets published in Womankind Magazine and the Guardian Weekly. She is working on a book about her brother. She leads a Bible Study at her local Anglican church, All Souls Leichhardt and loves being part of the Leichhardt community. She is married to Andrew and they have two daughters and a son.